GoDaddy Bookkeeping, organizes all your small business finances in one place. Eliminate data entry with daily data imports from eBay, Etsy, PayPal, Amazon, Stripe, bank and credit cards. Our app is for current customers of GoDaddy Bookkeeping. Sign up on GoDaddy.com. 1. Save time, know more. Automatic, daily imports of your data means no more data entry and managing complicated spreadsheets. 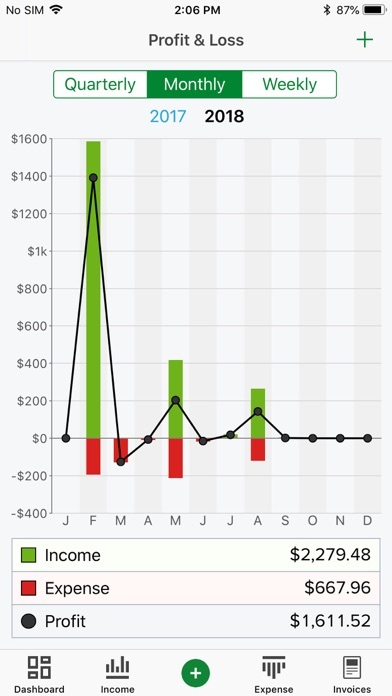 And, you'll have profit & loss charts and spending summaries at your fingertips. 2. Professional invoicing It's easy to create professional invoices, keep track of who owes you money, accept credit card payments, and send gentle reminders. 3. Be prepared at tax time Your data is organized and categorized, making annual and quarterly taxes easier. No more shoe box full of receipts! 4. 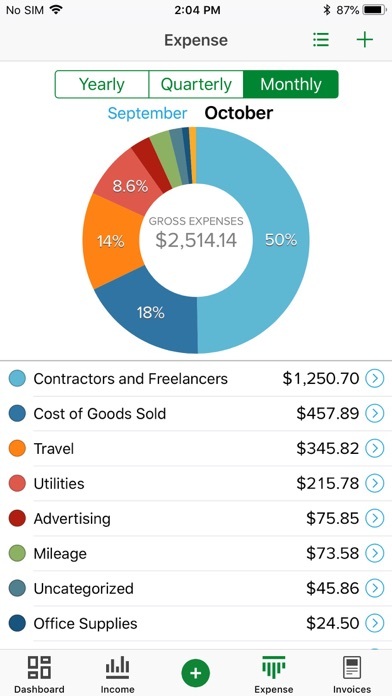 Bookkeeping on your iPhone - Know where you stand: charts of your income, expenses, and profit. - Accept payments and do business anywhere you are: swipe or scan credit cards on your phone. - And keep up with your clients: send invoices, and create estimates. - Check all your account balances in one place. 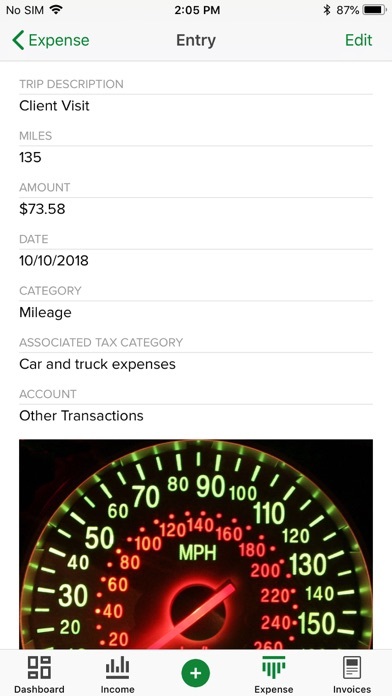 - Add expenses, income & mileage on the go. - Even attach receipt photos to your entries. Your account information automatically syncs across the Web and your iPhone so it’s always up to date and at your fingertips. Have questions? Get answers from our friendly U.S.-based support team at help.bookkeeping.godaddy.com. Compatible with iOS 6.0 and above and iPhone 3GS or greater. The account update feature, which is supposed to pull bank transactions into your bookkeeping data, doesn’t work most of the time. This means you either manually enter each transaction or wait for days until it magically works again. Not a way to manage a small business. Cmon guys, it’s not that hard. I’ve been using Go Daddy bookkeeping for many years now since it was Outright. I adore the web version. It makes bookkeeping super simple, especially needed for a micro business like my own. However the app needs serious work! When loading information the app hangs for long periods of time before showing the data, if it shows it at all. I pretty much only use the app now to see a basic snapshot of the dashboard since it’s hard to get any additional usable information out of the app. Love the computer program, hate the app. Every time I press a button, there is a lag of 15 seconds or more before the app responds. Every. Single. Time. Literally the only function it serves is to look at your business numbers. It is almost entirely useless as a bookkeeping tool. 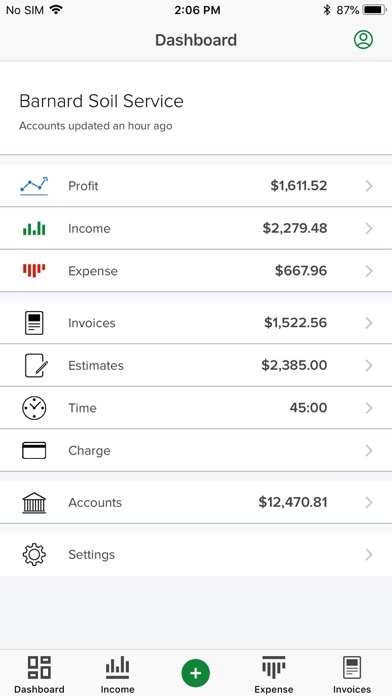 This app syncs your accounts data and sales and shows you in a glimpse how your business is doing. Love it. Very useful. 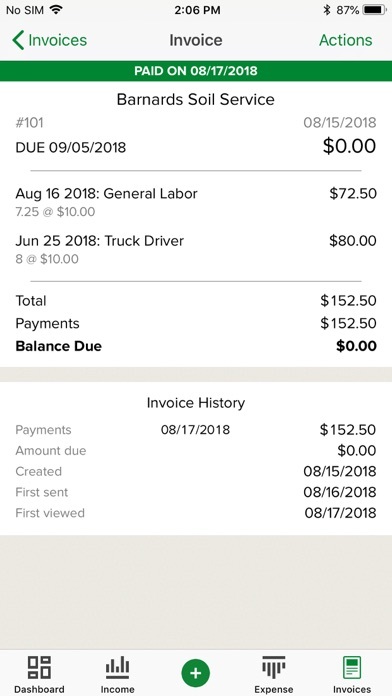 CONSTANTLY shuts down in the middle of creating an invoice. I am so incredibly frustrated with this app. Highly unethical company with jerk support agents. Avoid at all costs. Overbilled me, admitted their mistake on the phone, but maintained that I was to pay a $150 “website renewal fee” despite their own mistake and their customer records of me making the appropriate changes. In a GoDaddy manager’s words (his name was “Calvin L.” But he went by “Cal”) “Yes, I can see you made the change here. But you didn’t realize that sometimes you have to call to make sure these changes go through, even if it says it did online. You can review our terms, we stand by the $150 fee regardless of who is at fault.” In other words — despite their recognition that any problem was their fault, they’re charging $150 for a website renewal just because they can. Highly unethical. Do not trust them. Other support agents hung up on me when I requested to speak to a manager, were extremely rude, etc. Their support agents are all interested in upselling - not actual support. AVOID!